March 19, 2017: A day of unprecedented significance? 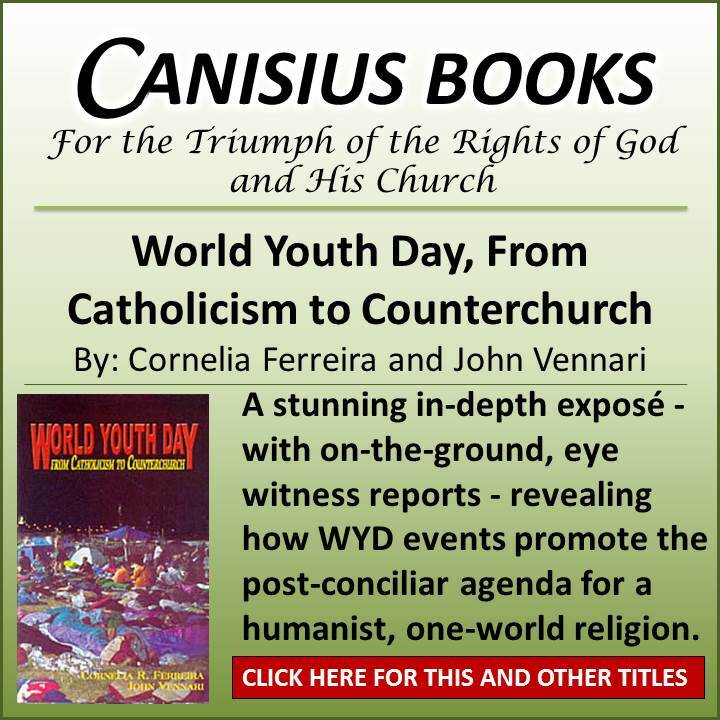 For Catholics the world over, March 19th was a very special day. It was, of course, the Feast of St. Joseph, but what I have in mind is specific to the year of Our Lord 2017. If we consider the case of Pope Francis objectively, and are guided in our judgment by canon law, he cannot yet be considered a formal heretic. At this point, he would only be “suspect of heresy.” Before being judged a formal heretic by the Church, he would have to be warned twice by the proper authorities, and given six months to remove or clear up the cause of suspicion. Though that particular discussion has run its course, to avoid confusion, a couple of clarifications are in order. While a pope may judge (reveal) himself as such, properly speaking, he cannot be “judged a formal heretic by the Church” since the Roman Pontiff is not under the Church’s authority. Secondly, canonical procedures are an expression of the Church’s authority over her subjects, and, as stated, the pope is not under the authority of the Church. Those points having been made, if one allows the canon law cited above by Robert Siscoe to serve as a guide concerning the matter of papal heresy, the unprecedented significance of March 19, 2017 will become clear. Readers may recall that the dubia were submitted to Francis on September 19, 2016; exactly six months prior to this past Sunday. So, has Francis actually been warned? Indeed he has, and more than twice. While some may believe that a “warning” necessarily entails an explicit threat (e.g., “Do this, or else! ), such an approach isn’t proper when an underling is addressing a superior; even when the latter is in error. In the case of a pope suspected of heresy, the warning should appear more as a respectful act of charity, with the “or else” implied relative to the Roman Pontiff’s sacred duty before God to uphold the infallible Magisterium of the Church. By juxtaposing Francis’ errors with immutable Catholic doctrine, this is precisely what took place by way of the “Filial Appeal” that was signed by more than 30,000 persons, including bishops. Just such a warning was also issued to Francis via the petition that was signed by 45 theologians, many of whom are priests. The dubia is just the latest and most noteworthy of such papal warnings. That, my friends, is as close to an ultimatum as we’re ever going to see. So, has Francis done anything since the dubia were issued to remove the suspicion of heresy? Don’t make me laugh! From the moment he first stepped onto the loggia of St. Peter’s, the man seems to be doing his level best to remove the suspicion of Catholicity! In all seriousness, over the last six months, far from making any effort whatsoever to remove the suspicion of heresy, Francis has only doubled-down on his false teachings; making his pertinacity perfectly plain. In recent weeks, we have seen speculation that the “act of correction” is now off the table; only to be followed by “insider” reports that it is still forthcoming. If the latter report is true, and given that Cardinal Raymond Burke is a canon lawyer who is as likely to be inclined as anyone to let canon law serve as a guide, perhaps the Dubia Brothers have simply been waiting for that six month window to close before taking the next step. Is the “formal act of correction” off the table? St Joseph, Hammer of Heretics, intercede for us, the Church Militant! Pray that the Four Cardinals have the fortitude to lead the flock away from the soul-killing exhortation Amoris Laetitia. 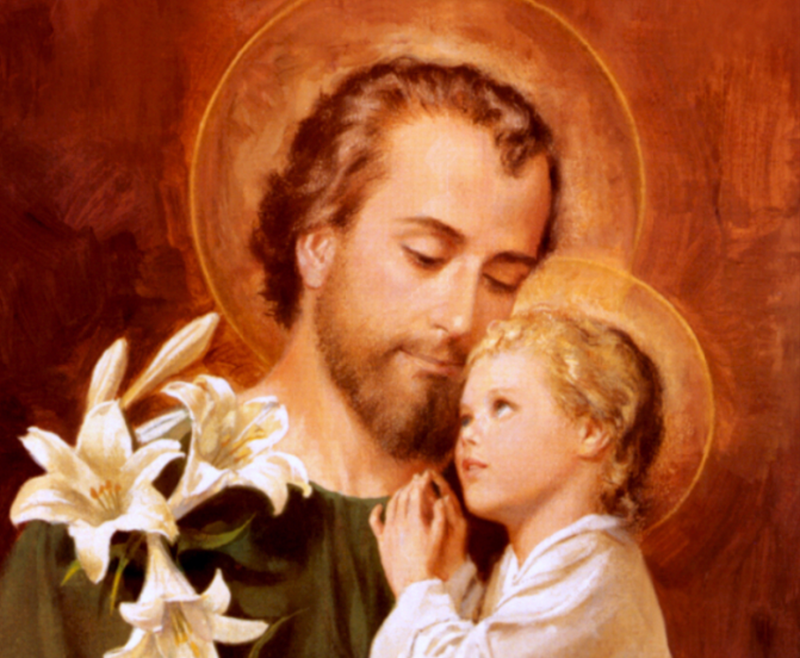 Dear St Joseph, please pummel all purveyors of evil in high places. I’ll tell you what gives me great comfort and consolation. Every Sunday, the church is full of large, precious Catholic families. I know Our Blessed Mother is carefully watching over them and by extension, me. Of course some “smart” person will come along and say “Louie, who has the authority to say Pope Francis has satisfied the condition of pertinacity (a word I don’t know how to spell)?” I am a simple person, it is possible that someone forced Pope Francis to sign AL but if he did sign it with full knowledge and consent then he is a heretic. And each Baptized person has a duty to resist him. Pope John Paul II and Pope Benedict XVI never touched my personal life with their Modernist tendencies. Thank you, Archbishop Lefebvre and thank you, SSPX. Pope Francis will have even less of a chance with me. Why in the world would I be dumb enough to take on the added responsibility, which is way above my status as a simple Catholic, to declare the Pope is a heretic or no Pope at all? God is in charge, it’s His Church. Our Lady of the Rosary has already promised that she would win this war. It’s the 100th Anniversary of Fatima, that makes me optimistic. The Rosary is the hammer of heretics. Throw down your stupid protest signs and pickup a Rosary! It’s interesting how Siscoe et al always insist on this very precise procedure, as if something exists in Canon Law to this effect. Of course this is nonsense. The Church never abided by having to give a heretical Bishop, Patriach ect ‘two warnings’–this is a tradition created by some venerable people in the past, trying to use St. Paul and the Gospels–however the Gospel passage in question is not even specific to heresy, but pertains to all types of disputes within the Church. And of course Saint Paul simply told the Galatians “let him be anathema” to the one clinging to heresy. The ‘two warnings’ was never applied at the time of the Protestant revolt either (nor within the first Millennium of the Church when people got excommunicated on a seemingly monthly basis!). Manifest heretics during the protestant revolt, like the ‘Catholic’ Archbishop of Canterbury, (among thousands of other Catholic Bishops in Northern Europe) were just deemed to be heretics and not even excommunicated formally. In the logic of Siscoe’s world all of these protestants remained joined to the Catholic Church since no juridical action was ever taken against them. Correction, Cramner was eventually excommunicated but only after Mary assumed the throne….this was almost 20 years after St. Thomas More and St John Fisher were executed for treason under his authority. So I suppose they should have be “obedient” to their superior, the Primate of England? Read what Francis says in this Q&A session, PARTICULARLY HIS ANSWER TO THE THIRD QUESTION which was: “All Saints church began with a group of British faithful, but it is now an international Congregation with people from different countries. In some areas of Africa, of Asia and of the Pacific, ecumenical relations between the Churches are better and more creative than here in Europe. What can we learn from the example of the Churches of the South of the world? Yes, PF retracts his heresy to the Chileans (not the universal Church), Rome will confirm he said it, the Dubia Brothers will be out manoeuvred, and communion will still be given to whoever. Does anyone here still think Francis isn’t clever? Nah, he isnt clever. Most so-called Catholics are just lost. See the sermon of St Leonard of Port Maurice delivered back in the 1700’s on how few souls get to Heaven. And the scary thing is that at the time of St. Leonard most everyone was still (truly) Catholic! Btw, that great sermon of his was instrumental in my conversion. It was also instrumental in me finally turning my back on the NO church. All this is idle speculation meant to tickle the ears of the disenchanted and rebellious. I doubt St. Joseph, who was said to be free from all actual sin during his life, would be pleased with it. Oh, so you think St Joseph would be happy instead to see Christ’s Church denigrated as its been since 1965? You think he would be pleased with that? Were you, like, St Joseph’s best bud or something? Did he say something, AT ALL, that would make you opine this? So those who hold to the Faith are “disenchanted and rebellious”? Good grief. THEN we wonder why true Catholicism is basically back in the catacombs in 2017. I assumed above that you were at odds with Louie’s post. If you were however at odds with who he was talking about then I take everything back. Terror daemonum, ora pro nobis. Protector sanctae ecclesiae, ora pro nobis. 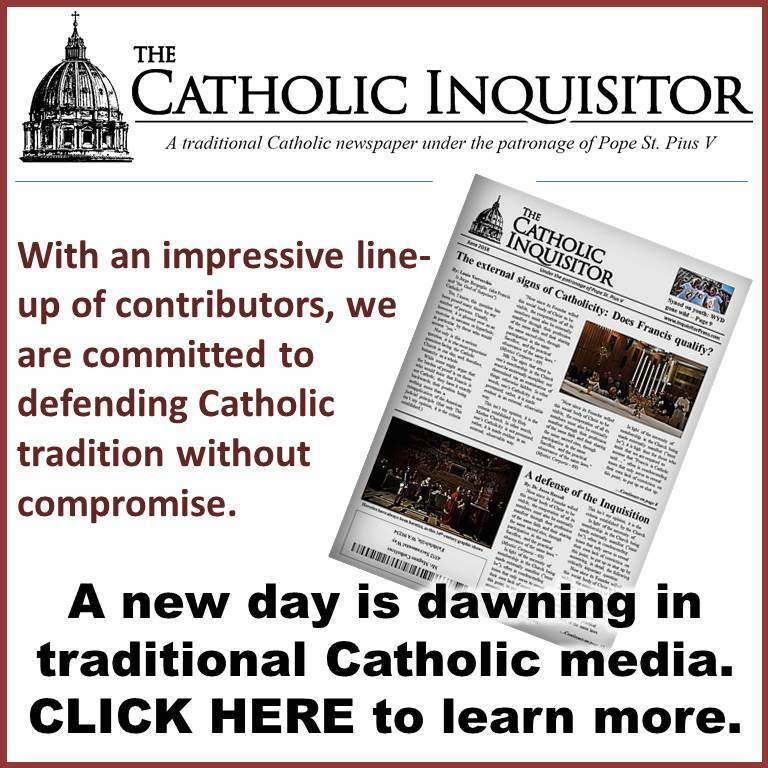 That error is the belief that a person can publicly believe, practice, and promote heresy without losing membership in the Church even though they know what the Church teaches, such as the pro-abortion, anti-Christian nun from the headline. Yes, I’ve said this a thousand times, but I’m saying it again hoping that it somehow finally clicks with people. 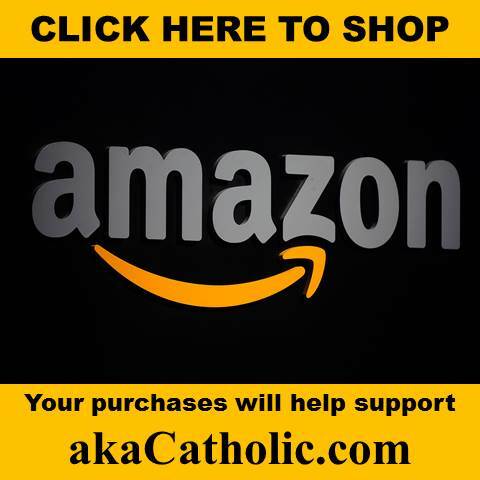 The SSPX, Tradition in Action, the Remnant Newspaper, etc. know that “Pope” Francis I knowingly and publicly rejects Catholic dogmas and morals, yet they all believe he remains a member of the Church as its head. They will make up excuses that warnings are needed to prove obstinacy even though Francis is blatantly obstinate. Are we to believe that Francis is a dummy and ignorant of Catholic Faith and Morals? Warnings aren’t given to popes, but even if they were, they wouldn’t be needed to prove the obstinacy of “Pope” Francis. He simply hates Catholicism! When these “traditionalists” are shown Pope Pius XII’s teaching that “only those are to be included as members of the Church who have been baptized and profess the true faith” they will give the reply that profession of faith doesn’t have to be perfect. While that’s true, it still has to be professed to the best of the ability of the individual. “Pope” Francis doesn’t profess the Catholic Faith at all! There’s not a Catholic bone in his body. When Canon Law 188.4 is presented that defection of Faith requires no declaration for someone in the Church, including the pope, to lose his office, these “traditionalists” will say that defection of Faith means joining another religion only. In other words, as a long as a pope (or anyone holding an office) claims to be Catholic even though he may profess the faith of other religion without joining it, he technically hasn’t defected from the faith. This is the foolishness that comes from individuals who won’t admit the obvious because of pride, anger, and plain stupidity. These are two things that drive me nuts: a) that this clown bergoglio is too ignorant (at 80 years old) to not know what Catholicism sets forth and b) that a “council” can somehow mysteriously be called together….even though this is TOTALLY a non-Catholic premise…to put this guy on trial for heresy and get rid of him. As for a- even non-Catholics arent dumb enough to believe that this guy is simply ignorant and as for b- where in the heck do people keep, and KEEP, coming up with the idea that a council can be called to depose a sitting pope???? Hey salza and siscoe….stop bs’ing everyone….a lot of idiots are starting to actually believe you. I believe this is a gross mischaracterization of the positions of Salza, Siscoe, Matt etc. In fact Salza and Siscoe’s argument is very very straightforward. Let’s do this by analogy. Say one day, rich, overhears and strongly suspects his neighbor, a Muslim convert, planning to mow down a bunch of people in a park using his vehicle. a) Inform the authorities (the police), expecting them to take care of it via investigation, arrest, trial, and sentencing. b) Enter the man’s home himself and either Rich kills him vigilante style or makes a citizen’s arrest and locks him up in his own garage. Now say Rich knows that the authorities themselves are stupid idiots afraid of being called Islamophobes, maybe even sympathetic to the cause, maybe under liberal government pressure, maybe are diabolically disoriented liberals, probably already have the guy on a watch list, and are just sitting back doing nothing and afraid to do anything until after the guy goes on his rampage and eventually is killed, or are themselves conspirators who welcome the attack. My guess is that Rich would still do (A) despite all the obstacles and doubts because he will rely on the system in place to do that. Answer: Because Rich understands that he doesn’t have the authority himself to do anything if he wishes to maintain any semblance of order, doesn’t want to bring harm to himself, prudently doesn’t want to have potentially jumped the gun and assumed something wrongly about his neighbor based on potential misconceptions, and knows that in order to truly verify if his neighbor is guilty of planning murder and terrorism that it is up to the competent PUBLIC authorities to investigate and make that judgment. Now even if Rich possessed full conviction that his neighbor was in fact a crazy jihadi and even has all the circumstantial evidence surrounding his home from explosives to ammunition and has also barbed wire placed all around his car for maximum effect, Rich would still likely inform the authorities to take care of it; for the sole reason that they still exist in place and Rich doesn’t live in a post apocalyptic Mad Max state of the world. For if indeed he was living in the latter, vigilantism would be Rich’s only recourse. Do the Sede’s have any actual answer? Nope. They sit there with their hands in their pants saying “Ha-ha!” But behave no differently than the trads who resist. They just openly state “Francis isn’t the Pope” and go on their merry way. No need for procedure, formality etc. Just declare it and then do absolutely nothing other than convincing others to think likewise, which still leaves us with the MAIN problem – there’s a guy sitting in Peter’s Chair who shouldn’t be there. WHAT DO WE DO NEXT??? From the Sedes: *crickets*. From the Trads: Resist him openly if necessary but inform the authorities. Unlike the example of the Muslim terrorist, Sedes will claim that the Pope cannot be judged nor resisted. One wonders if these same sedes would allow a Pope to make sexual advances on them were they trapped in an elevator with him and Ricca. Will they just say “You’re not the Pope!” and hit the alarm? Or is he not to be resisted and you open yourself up to him? I’m guessing they will judge his actions right fast. Oh but this only applies to doctrines that will lead souls to hell? And not every Papal action? The Holy Spirit would never allow the former! The Sede argument rests on the same faulty reasoning as Protestants that treat the Pope as impeccable and inerrant at all times where the man is the equal of God and whose every thought and writing is fully in line with that of the Creator and therefore we cannot resist the Pope any more than we can resist God, despite the Popes themselves and history saying this is not the case. But for some reason many of these same Sedes would declare that all the Jewish Tradition, Church Fathers and Popes from 33AD to 17-1800 AD were led into error by believing Geocentrism was the correct interpretation of Scripture because Pagan, Protestant and atheist scientists proved otherwise while many Catholics were still backwards by stating that they rejected this out of obedience to the Holy Pontiffs. Or if they agreed with the Patrimony and Tradition on Geocentrism, that the Popes from the 17-1800s had to be led into error where the Holy Spirit took a vacation while the Inquisitional records were under lock and key by Napoleon and had to rely on modernist Cardinals to incorrectly inform or outright lie to them about the circumstances of the Galileo affair so that they could get permission to indulge in modern day cosmology and take Heliocentric books off the Index. And that Papacy has been in this erroneous state for the past 200 years. Either way the Holy Spirit delivered a victory to the humanist, enlightened, anti-Papists that continues to this day as popular myth. Either that or the Holy Spirit doesn’t protect the Church or the Papacy in the manner they think it does. Anyone who thinks this was just some ‘scientific’ issue out of the Pope’s jurisdiction doesn’t know the facts that the Pope’s treated this as a matter of Scriptural interpretation and inerrancy just as one would if archaeologists denied the existence of the Davidic Kingdom. Sure these are not affairs that Catholics need to know as a matter of salvation, but it does matter with regards to the Church and Bible’s authority and reputation. You can’t just conveniently separate the two as modernists reinterpreters like to do with doctrine and discipline. No, what Siscoe, Salza etc. simply state is that the verification of the Pope’s heresy should come from the authorities just as the sentencing of an attempted Muslim terrorist should also come from the competent places. Either that or we wait until the Papal occupying heretic and the Muslim terrorist, in their attempt to destroy others, both winding up dead and judged post-humously. This is prudently for the benefit of EVERYONE in the world, because they sure as hell aren’t just going to take the word of sedes in the comments sections. Even if the Pope is an openly brazen heretic who can’t stop blaspheming Christ without a sedative, the formality of a council stating so must still be followed if we wish to preserve this order, even if the authorities themselves are incompetent and can’t be trusted, while that institution is still in place we must. Maybe in the post-apocalyptic Mad Max wasteland, you might have an excuse, but it wouldn’t really matter then either for all practical purposes. Let’s turn to David and Saul as an example. Didn’t everyone obviously know that David was anointed and that Saul was therefore an illicit King? Actually, no! Otherwise Saul would’ve been deposed on that day entirely and David put into place. But that obviously didn’t happen. You see, Israel at this time didn’t have the benefit of having the Books of Samuel pre-written for them to know, and even if the books were written prophetically rather than after the facts, it’s not like copies could’ve been sent to everyone’s kindles. So there was an obvious division between those who acknowledged David as the King, whereas there were those who still saw Saul as the valid King. What did David do? Revolt? Reformation? Nope, he, rather than lead Israel into a possible civil war with their enemies still surrounding them, declared that Saul was still the anointed one of God. And Saul would remain king and remain in place until God removed him. The King was after all THE HIGHEST AUTHORITY IN THE LAND AND COULDN’T BE JUDGED! Or else David himself would’ve been killed according to the law for murder and adultery with Bathsheba. But he’s the king. He sat on the throne. The sedevacantists of that time would later support Absolom in a revolt, because David sure wasn’t going along with overthrowing the King. The Kingdom of Israel wasn’t some constitutional Monarchy where the King was subject to civil law. The king’s power was absolute, something that would later be akin to the Papacy except as a prime minister holding the King’s authority for Christ the everlasting King, and therefore could be deposed by Christ or God, and judged and admonished by ones such as Samuel and Nathan acting on God’s behalf before the court! In fact this type of David being admonished by the prophet would be repeated by Peter and Paul in the presence of the court. Note that it wasn’t some commoners coming up to the King and accusing him of murder and adultery. In fact not even Nathan did that. He first used a parable to get David to JUDGE HIMSELF! But this was not done in private, but the implication was that this was done BEFORE THE ENTIRE KING’S COURT! Which is when people would come before the King to judge a case, and that the King’s judgments were publicly verifiable in the presence of others. And Nathan was acting as God’s representative even as the King was the civil power over him. This strategy was also repeated by the wise woman from Tekoa, sent by Joab, who using a similar parable got David to forgive Absalom saying, “When the king says this, does he not convict himself…?” She was leveraging the presence of the King’s court to get the King to swear publicly his judgment which ALSO reflected back upon him by the manner in which he judged her case. 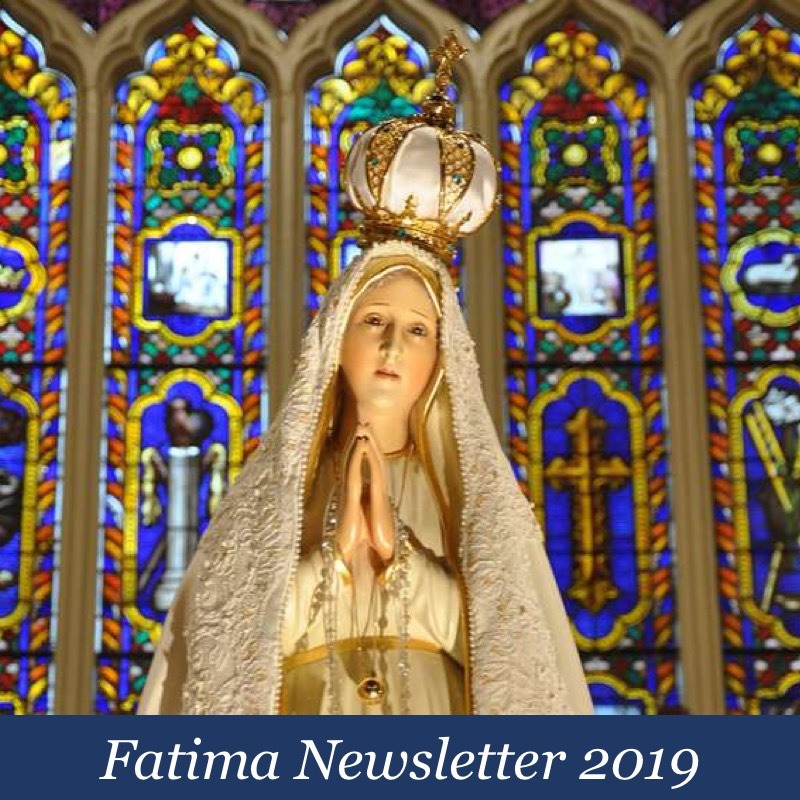 She did this via leveraging a dubia of her own – DOUBT as to whether the King would honor his judgment for her considering his own relationship with his sons and the similarity between their cases. By David’s own words, was David condemned, and this was verifiable. But David remained in place because he repented, unlike Saul who didn’t but continued to rebel against God. But there were those so incensed by David’s actions, including Family members of Bathsheba and Uriah, one including David’s “own familiar friend” who would see him unfit to be King, and therefore raise up Absalom against David, even telling him as an act of revenge to lie with all of David’s wives and concubines before all of Israel. Something God told David would happen so as to bring his evil deeds before all the general public. Now this does not make supporting Absalom’s revolt good, however justified it may be due to David’s actions in a moral sense in the eyes of those who hated him. But David earned it and that of those rejecting his right to rule due to his deeds. As such similar scandal is earned by the Pope where others will judge his complicity for heresy, but in itself does not mean we automatically revolt, though David’s own men would’ve been right in resisting David were they aware of his intentions to commit murder and adultery. For just as Saul scandalized himself and went further than his authority, it was Samuel who was sent by God to anoint David, and yet David did not usurp Saul’s place until such time as God would give it to him. And even Saul’s own son, Jonathan, resisted his father the present King, knowing that David was the licit one. So as we can see, we may all be very well aware that Francis or even ALL the Vatican II Popes could be heretics, but such a judgment must be ascertained PUBLICLY, in the Pope’s own court, by being found to have JUDGED HIMSELF, through the actions of the Cardinals bearing witness to the Pope’s own formal heresy, and he, acting like either David or Saul can choose, by God’s mercy, to repent and recant, like David, or rebel, like Saul, in which case we could similarly end up with a newly anointed Pope and an Anti-Pope, just as Israel had a King and an anti-King, depending on the resistance the false one puts up, and the resources at the hands of the right one. Frankly, anything could happen, and I don’t know the future. But from the Biblical examples and from the theologians themselves, there is due procedure to be followed, which will happen by God’s will on His own time, and I turn to Him to take care of it just as He has done before. I may believe Francis to be an anti-Pope. But this means absolutely nothing practical. Francis is still sitting there in Rome and I have no authority to depose him, nor even the means to fly there are get started some inquiry with him in his own tongue. If you want pressure put upon Francis to speak, you need the Council and the eyes of the world’s public looking at him. You need Cardinals the likes of Nathan and the Tekoan woman. He must be permitted no escape. His own words will convict him, and this will be obvious and verified by the competent authorities granting him every courtesy. So Johnno, in all those words you are basically telling us that we have a Catholic Church that is teaching us error and heresy.